No one likes weeds. They ruin landscaping, they cause more work for homeowners and business owners, and they’re unsightly. Some of this unwanted vegetation can cause damage to the vegetation you do want in your landscaping, and it’s just another thing to add to your to-do list. 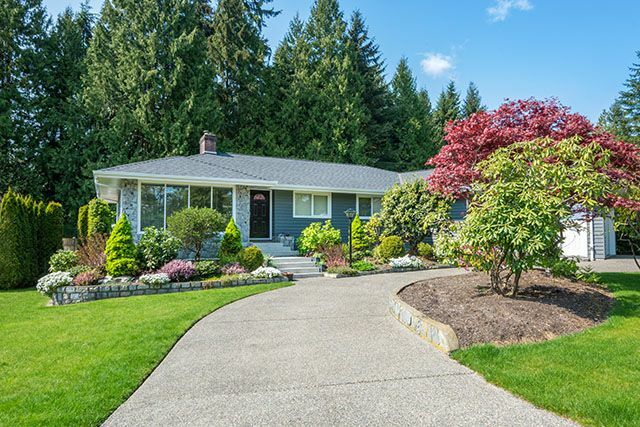 At A Great Choice Lawn Care & Landscaping, we understand how important it is to control vegetation from making a more prominent appearance in your lawn. We also understand controlling it yourself isn’t always part of the plan. Let our landscape professionals handle the dirty work and control your unwanted vegetation on our time so you have more of your own. These are just a few of the places we control vegetation around your home or office. This tends to be some of the most common ground for unwanted weeds and vegetation. Our vegetation control services contain, control, and eliminate weeds so you don’t have to. This means less time spent pulling weeds for you, and less time inspecting your lawn to ensure unwanted weeds and vegetation are growing. Many people believe weeds only grow a certain time of the year, they only grow in specific locations, and they aren’t a problem for most homeowner. It’s this misconception that allows unwanted vegetation to grow out of control before you realize it. These are the three most common types of weeds that grow in the Binghamton area, and each one has its own schedule. Perennials are your basic dandelions, daisies, and other small vegetation. If you don’t consider them problematic since they’re usually pretty, you should understand they prevent healthy grass growth and damage your lawn. Without root removal, these weeds grow out of control. Annual weeds include chickweed, and they don’t take long to grow. They die quickly, too, but not before they’ve had enough time to spread their seeds throughout entire lawns and cause major damage. Don’t assume because they’re dead they’re no longer a problem in your lawn. Bulbil producing vegetation includes weeds such as buttercups, and they require chemical death to remove and control them. These weeds are often ignored by business and homeowners because they flower and look nice, but they’re dangerous for the rest of your vegetation. As they spread throughout your lawn, they take the water and oxygen needed by your other vegetation for healthy growth. Different weeds grow in different regions, in difference seasons, and in different soil. It’s not always easy to tell what might become a problem for you, but our experts can determine what’s needed to control weeds based on the current weeds in your lawn. From there we can predict what might occur and work to prevent it from happening to your gorgeous lawn. One weed can grow quickly enough to destroy an entire lawn. 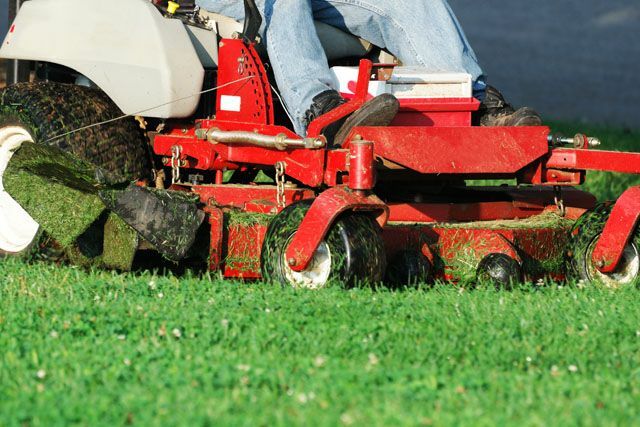 Don’t let this happen to your lush, lovely, green lawn this year. Depending on the type of vegetation you want removed, we work up a customized plan to rid your lawn of weed. This entails creating a removal plan that doesn’t endanger your other plants and vegetation, but one that does get rid of the insulting weeds. Once they’re dead, we remove them for good and work to ensure they do not regrow or have time to seed your lawn. After these weeds are removed, we work to prevent them from returning. This sometimes takes several trips to your lawn to kill and remove new growth from seeds that spread before we began our control process. The process involves controlling these growths so you have a nicer lawn with thicker, more vibrant grass. Vegetation might not seem like a big deal when it’s just a little here and there, but it spreads quickly and grows fast. This means you might see one or two weeds today and dozens in a few weeks. Don’t let your weed problem get any worse. Call us at A Great Choice Lawn Care & Landscaping at (607) 729-3451 today to discuss your free estimate and our weed control options. If you prefer to fill out our online estimate form, please do so. Our team of experts will contact you shortly with an estimate and to discuss the task at hand.